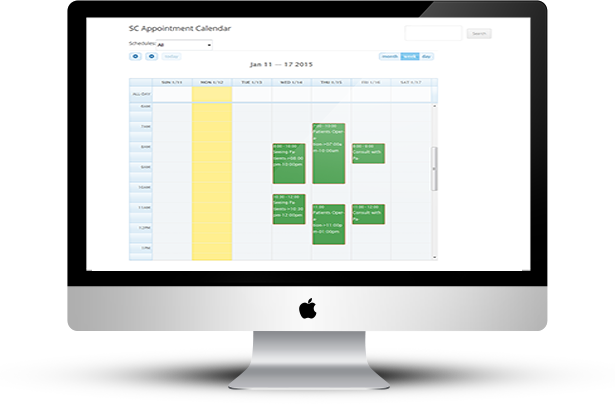 “WooCommerce Appointment Schedule Booking System” plugin is a WordPress Woocommerce appointment scheduling plugin that allows your customers to book appointments for the services directly from your website by using woocommerce payment system. By this plugin your customers will take a quick view on your services and can book a suitable appointment schedule in specific time and date slot. “WooCommerce Appointment Schedule Booking System” plugin is make for service professionals like doctors, lawyer, consultants, therapists, tutors, instructors, singer, artist, photographers, stylists and others who need to schedule their time and date with clients through online. You can create your appointment schedule in a particular date and time. “WooCommerce Appointment Schedule Booking System” plugin is integrated with WooCommerce Payment systems. “WooCommerce Appointment Schedule Booking System” plugin is well implemented with all the necessary features that will make the online booking simpler and easier for your customers. “WooCommerce Appointment Schedule Booking System” plugin has some excellent features and very easy to install or setup. “WooCommerce Appointment Schedule Booking System” plugin is more flexible and compatible with many existing plugins in the wordpress repository. This plugin is fully customizable. Users can easily configure the plugin into the new or existing wordpress websites. An easy to use Booking Admin Panel that displays bookings in Calendar Overview and lets you manage bookings. 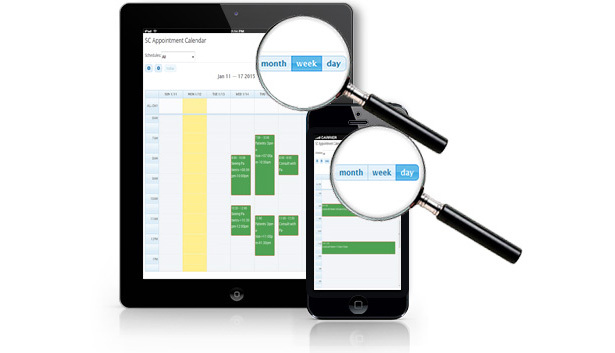 Make appointment schedule bookings in friendly booking interface – select the date(s) and fill form fields. Prevent of double booking for already reserved schedule time (1 booking per 1 schedule or time slot for a venue). Allows defining the working days, the exact time slots available. Set the length of time slot for each service. Add/Edit/Manage Booking from Admin Interface. Insert Booking Calendar into any Post/Page using ShortCode [appoint_sccalendar]. Supports both am/pm and military time. Easily add, edit or delete appointment in WP Admin. Automatically page created and shortcode copied to page to generate calendar page. So it’s really easy to install and configure. Variety of services to choose from – woocommerce appointment schedule booking software lets you set many services options: An appointment at your office or at your client’s location or anywhere. Unlimited Service and Venue Entries. Integrated with WooCommerce Payment System. Built in Shopping Cart Enabled. Manage Booking Straight From the Calendar. Unlimited Background Color setting for Schedule Event. Dynamic Customized date Picker for Service/Schedule wise. Appointment Scheduling Calendar month, week and day view. Full Technical Support From us. 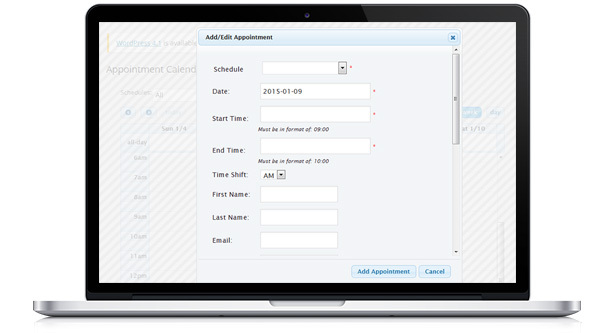 Comfortable Admin Panel for appointment schedule booking management. View appointment bookings in Calendar Overview Panel (Timeline) with possibility to set Day/Week/Month view or in Booking Listing Table with pagination. Patient scheduling (Doctor, Clinic, Medical). Booking calendar / availability calendar for a doctor, lawyer, therapist, gym instructor. Booking calendar / availability calendar for a physiologist. Booking calendar / availability calendar for a consultant. Booking calendar / availability calendar for counseling. Meeting scheduling (Coaching, Phone advice, Consulting, Law Firms, Education). Client scheduling (Beauty salon, Spa management, Hairdresser, Massage therapist, Acupuncture, Photographers, Personal Trainers, Wellness, Training Institutes, Sightseeing Services, Home Repair, Auto Repair, Tuition, Financial Services).